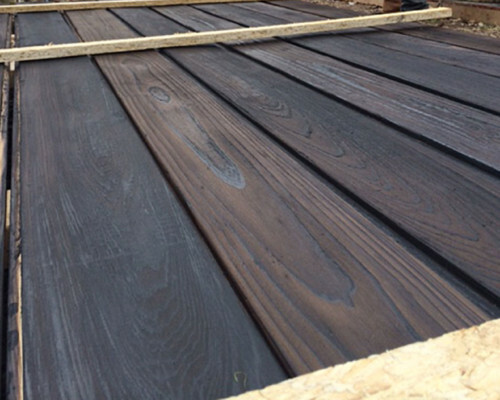 Shou Sugi Ban is an ancient Japanese exterior siding technique that preserves wood by charring it with fire. Each board was charred and then placed side by side ready to be installed on the house. 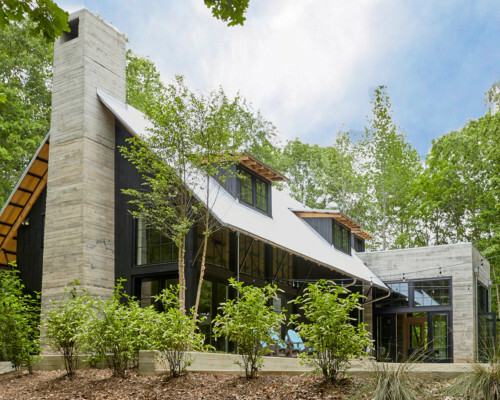 The boards came together beautifully, creating the perfect finish for this unique, modern farmhouse in Indian Springs Village, Alabama.